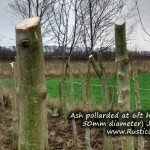 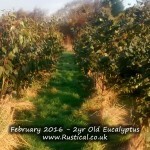 We have quite a few young ash trees which we grew from seed gathered from local trees and planted out around 8 years ago. Whilst the vast majority of our ash trees are being grown to coppice, we have some that are under grazed by free range chickens. 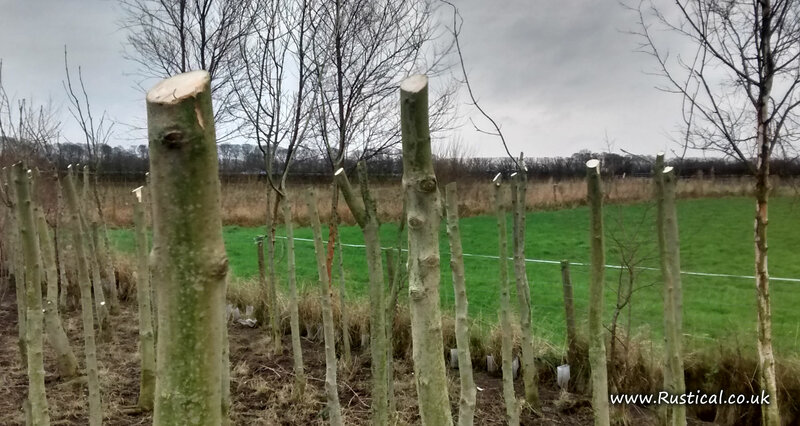 Pollarding trees is a bit out of vogue but we decided to give it a go with these trees to allow us free access between the stems but still provide a good canopy for the benefit of the hens. 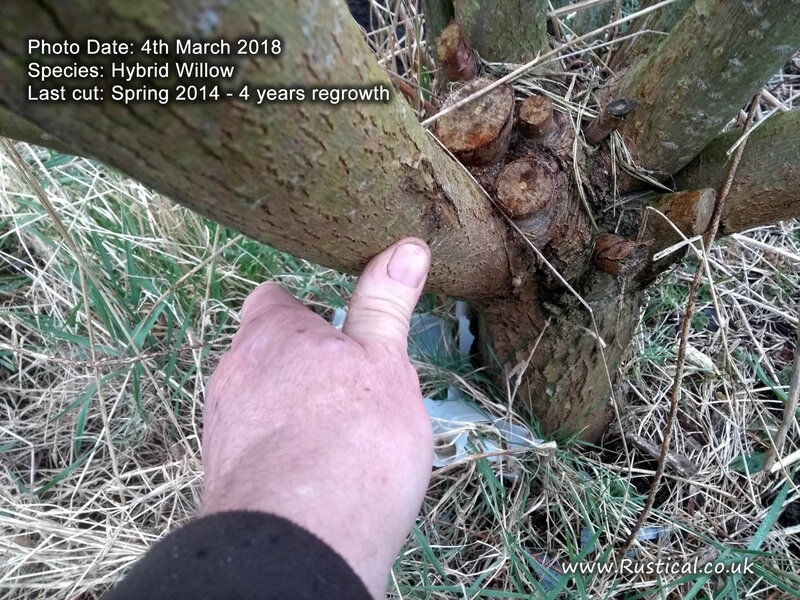 Research suggested that we were now at the optimum diameter to initiate a pollard and create a ‘knuckle’ from which future growth will occur. 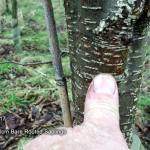 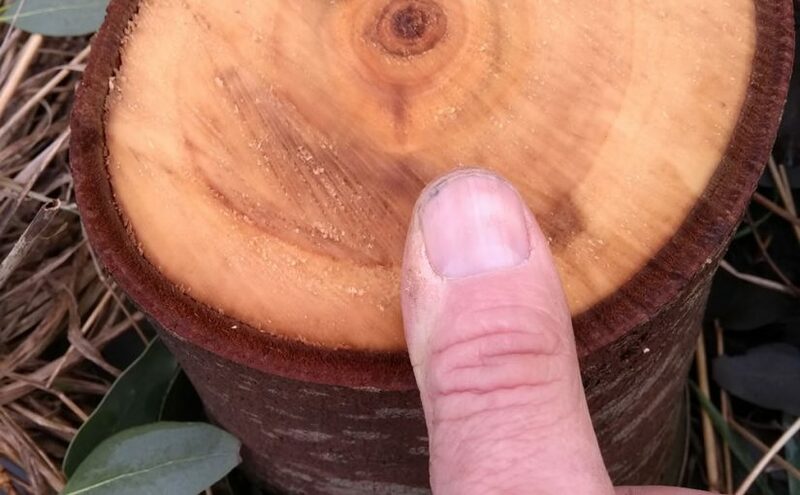 If pollarding is to be carried out, it should preferably start soon after the tree has become established and is between 25 mm to 50 mm in diameter at the selected height of pollarding (often 2 m to 3 m). 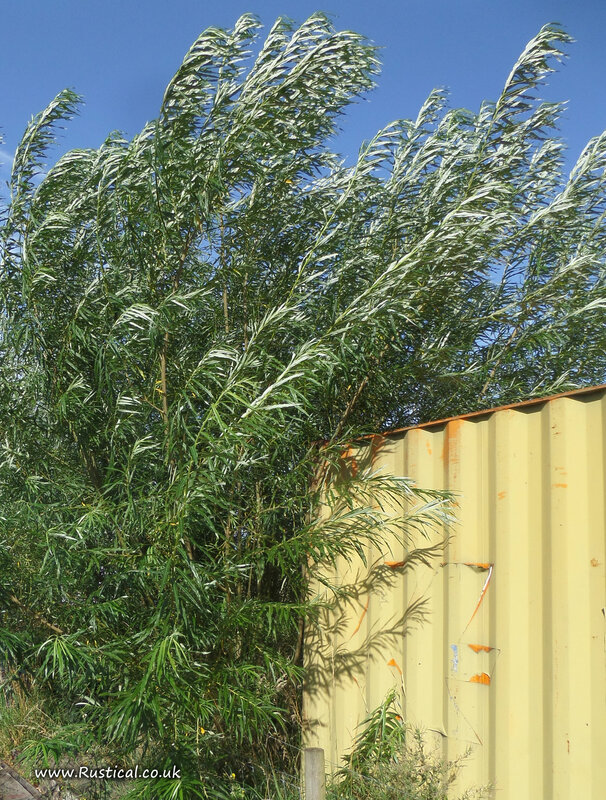 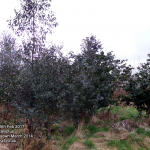 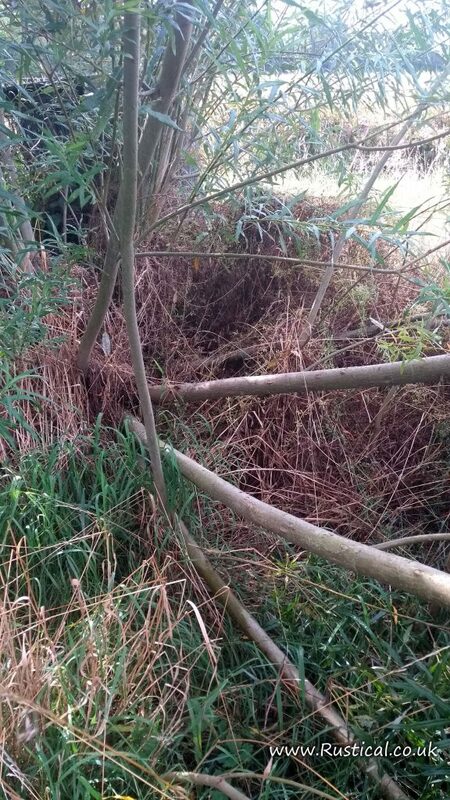 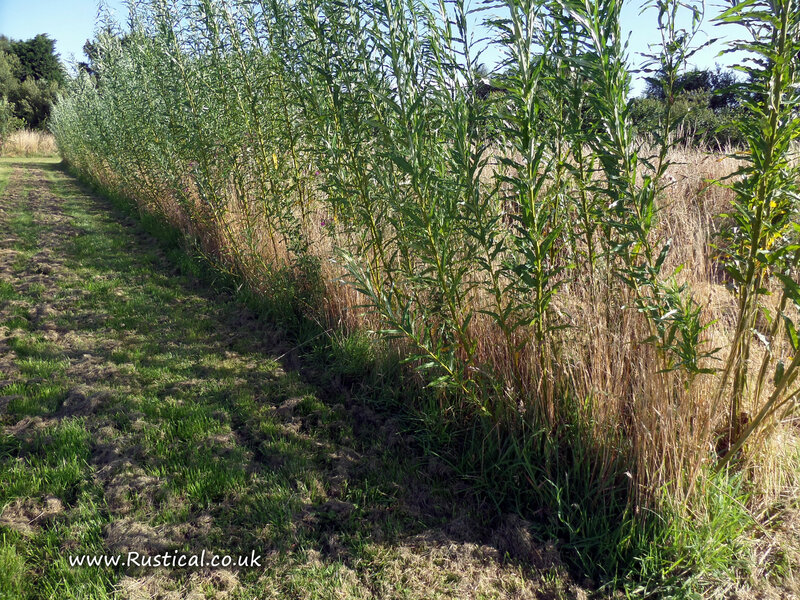 The initial pollarding cut should be made at a height which reflects site usage but which, if possible, allows some of the pre-existing foliage to be retained, in order to maintain physiological function and thus reduce the probability of dieback or death. 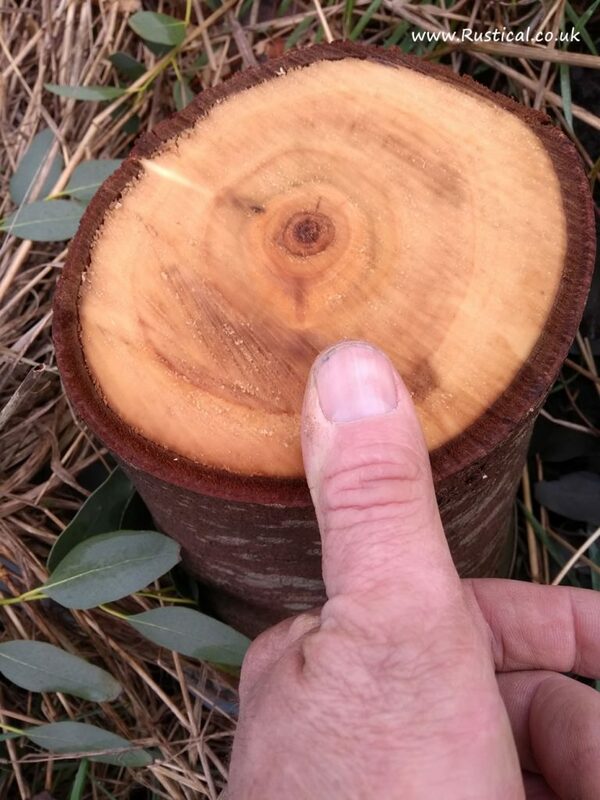 If the tree divides into a number of stems or branches below a height of 3 m, these should be individually cut so as to initiate a “candelabra” framework. 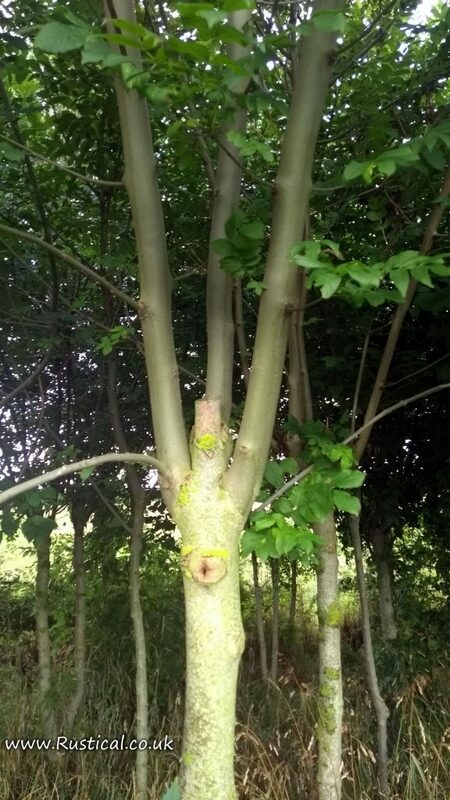 If the stem has attained a diameter of more than 50 mm, but less than about 200 mm at 2 m to 3 m height, pollarding may still be initiated. 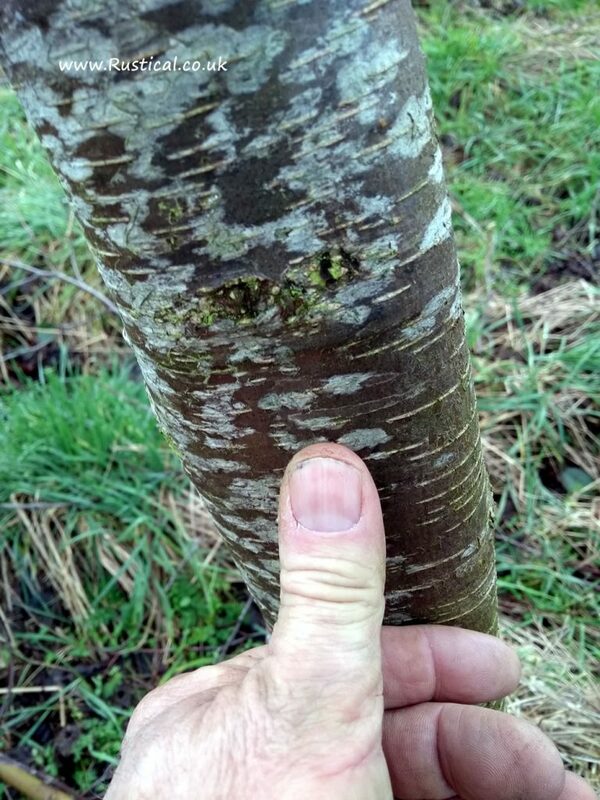 The tree should be cut at or near the same height as a younger tree, but extra care should be taken to retain some existing branches. 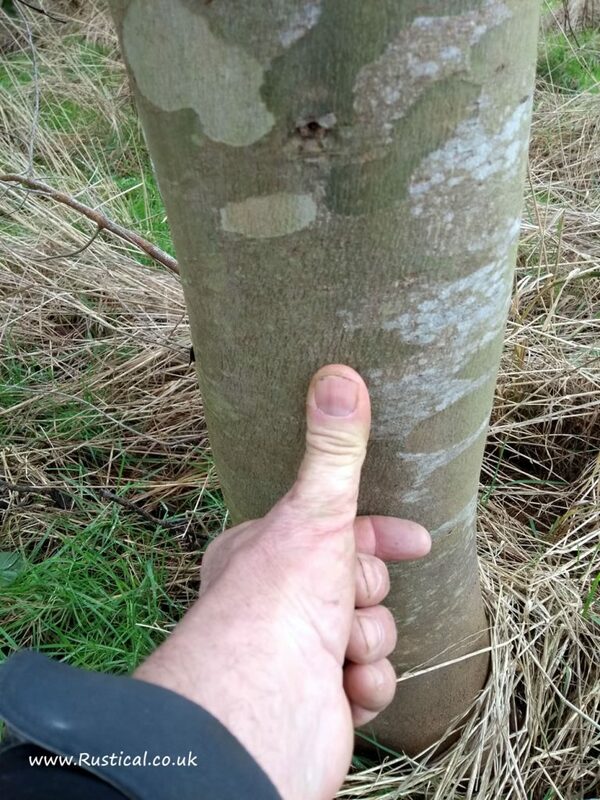 Larger trees should not normally be treated in this way (see Annex C for severe cutting for special purposes). 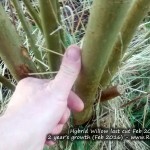 Once initiated, a pollard should be maintained by cutting the new branches on a cyclical basis. 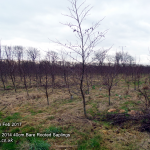 The frequency of the cycle should be decided according to site management objectives, species, age, condition and/or any product that might be required. 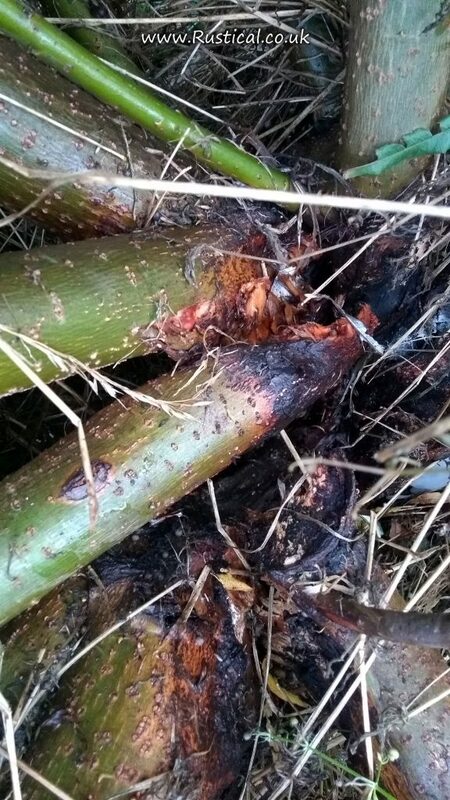 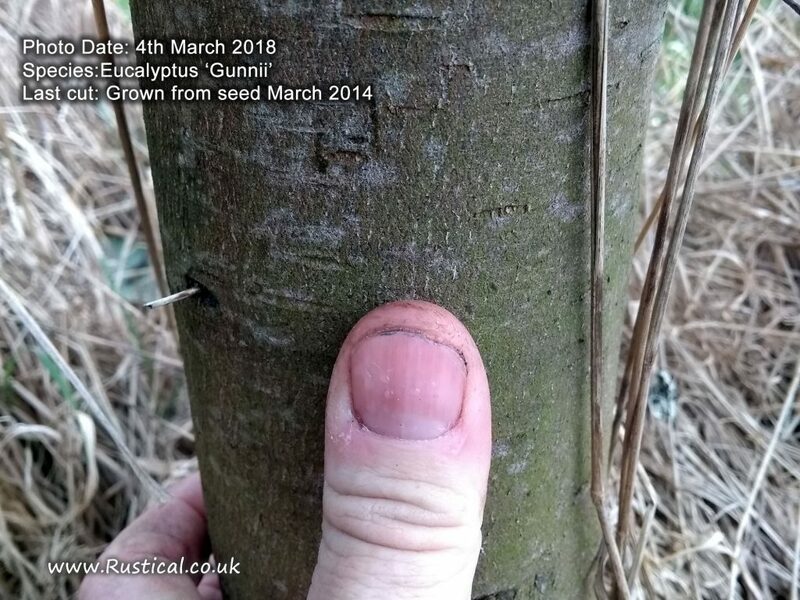 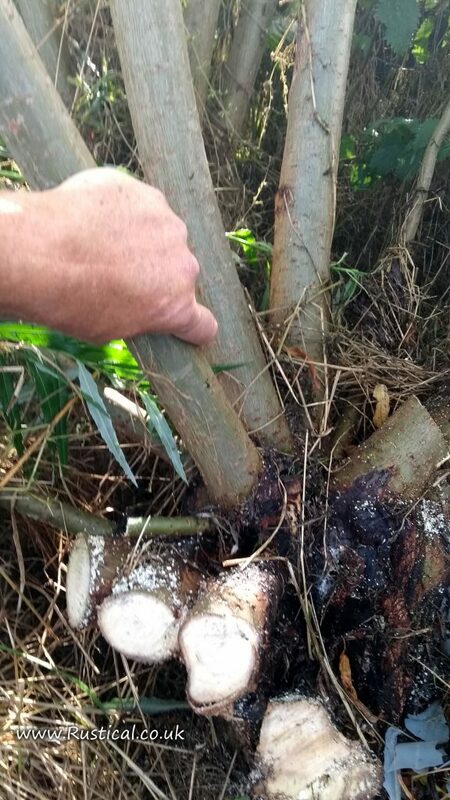 Selective cutting, whereby some of the pollard branches are retained within each cycle, should be chosen if this would help to prevent dieback and decay in the stem. 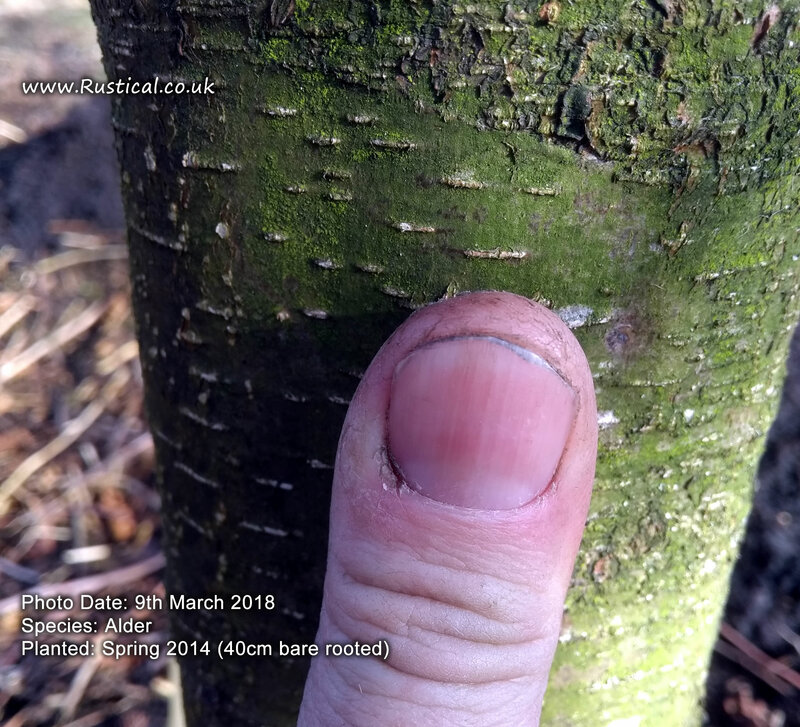 Branches that grow after pollarding should normally be cut at their bases in order to encourage the formation of a knuckle after a number of cycles. 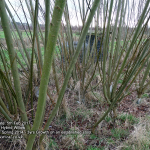 If, however, the pollard cycle has been allowed to lapse over many years, the crown should instead be reduced (see 7.7) to the minimum necessary to fulfil current objectives. 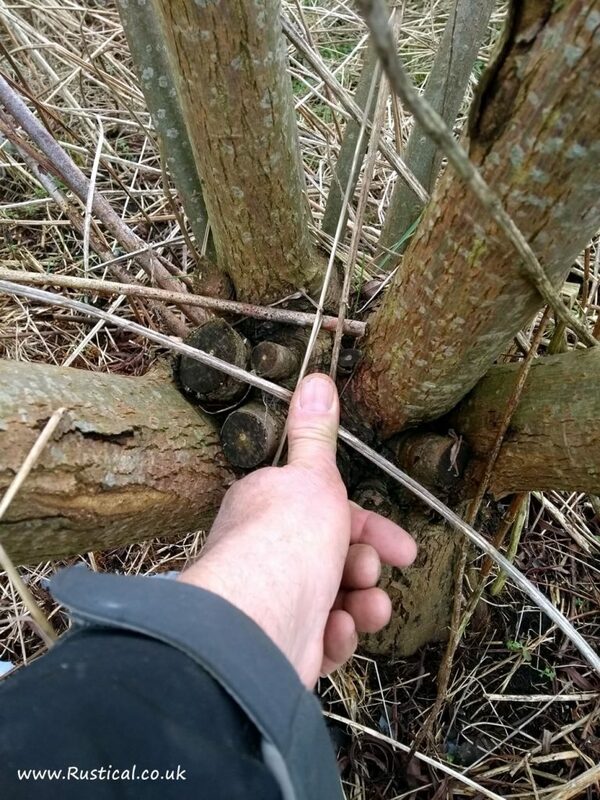 These could include the relief of any mechanical stress that would otherwise be likely to cause the stem to split apart. 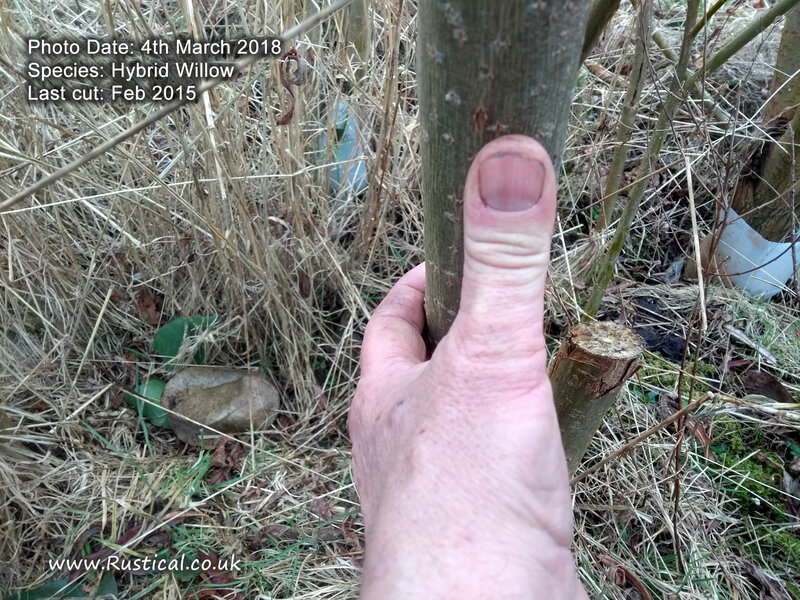 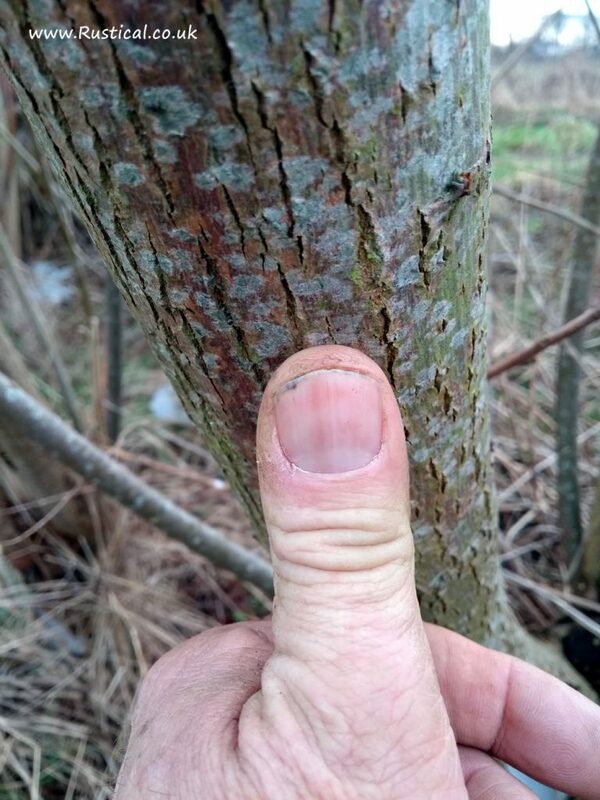 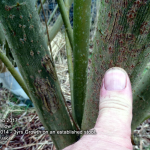 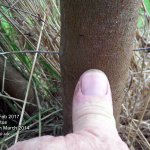 Even if the stress on an old pollard branch is severe, it should not be cut back to the knuckle, since the removal of all its attached foliage would probably lead to physiological dysfunction and decay. 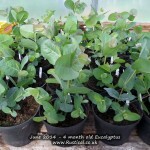 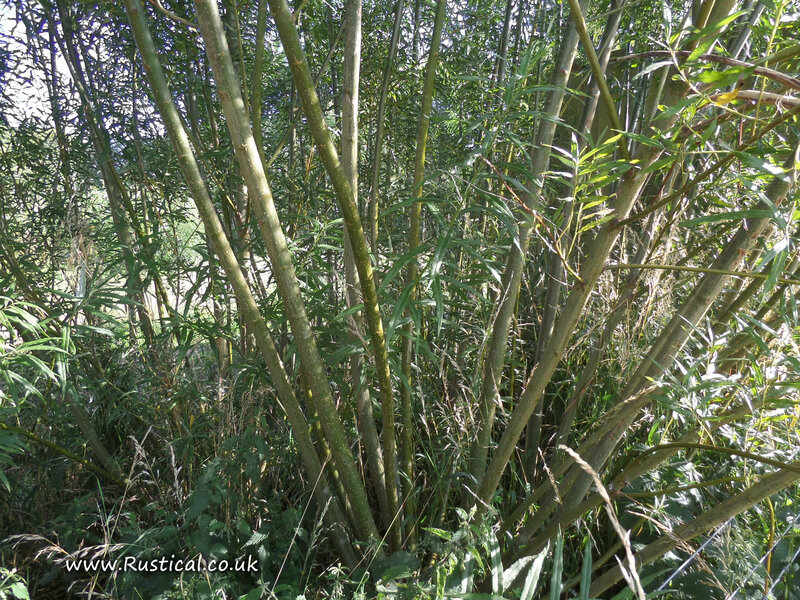 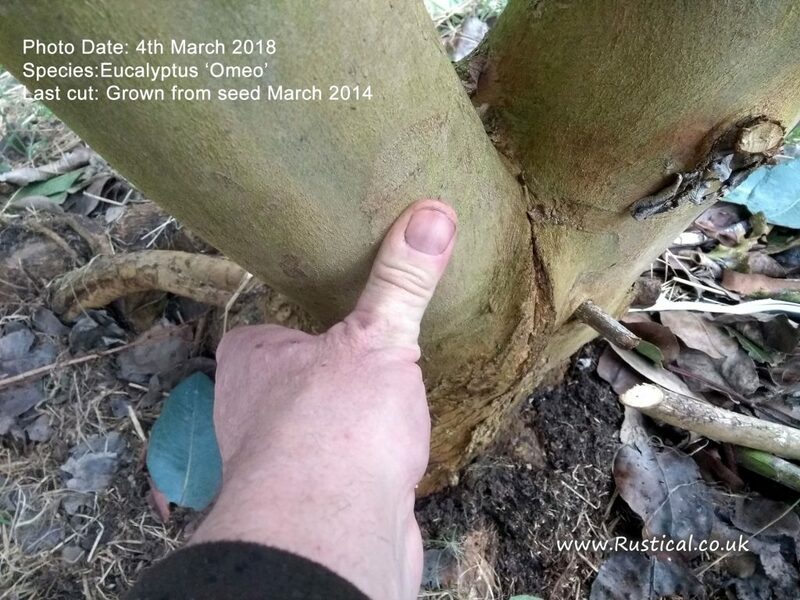 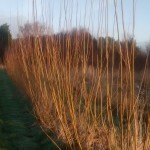 It should instead be shortened by cutting just above a suitable lateral branch [see Figure 2, R(c)], or failing that, by retaining a live stub from which new shoots could grow. 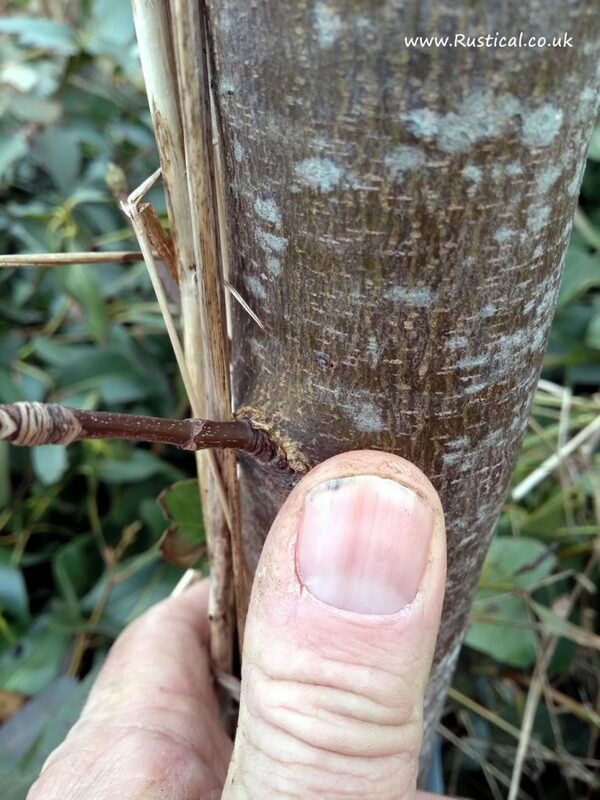 If crown reduction would be insufficient to safeguard those branches that are most likely to fail, they may be reduced to stubs in one operation (a “pole thin”), while the remaining branches are shortened so as to retain enough of the leaf-bearing twig structure to sustain the tree. 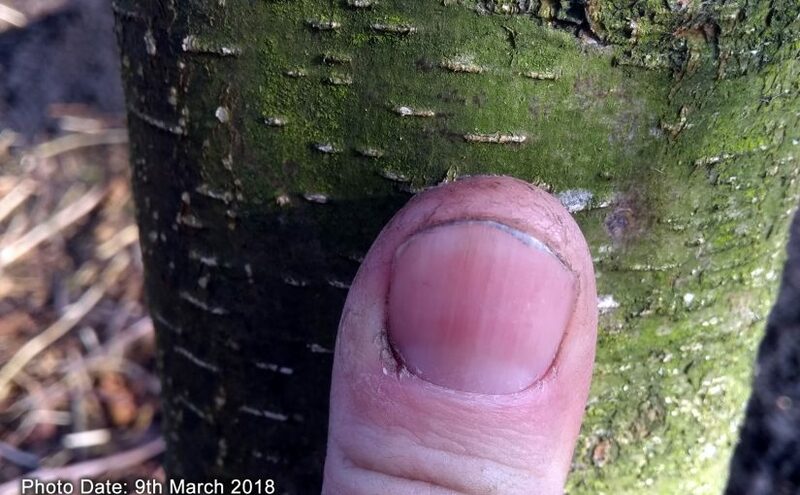 NOTE Retention of live stubs on lapsed pollards will often help to reduce the risk of serious dysfunction and hence decay and weakness developing below the knuckles. Using just a trusty Silky Zubat hand saw it didn’t take long to do the deed. 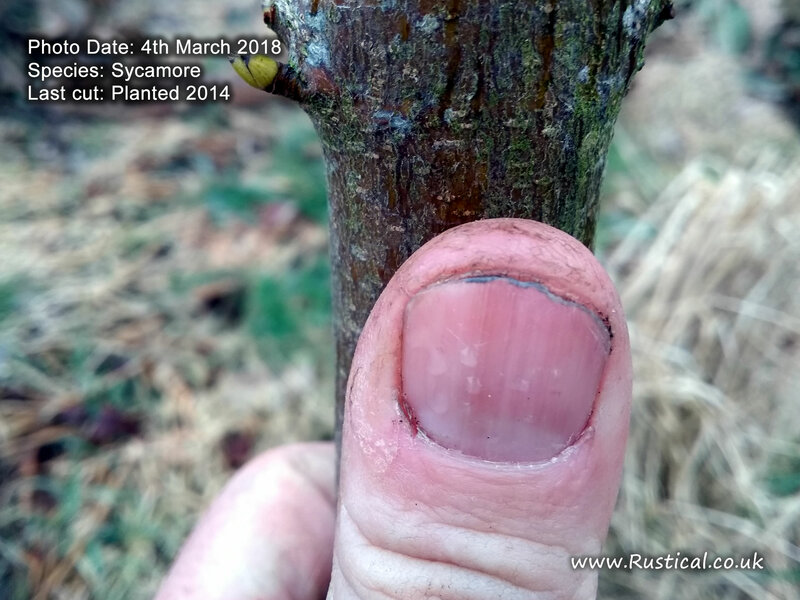 We still have no signs of the inevitable Ash Dieback disease so hopefully we will see the new growth get established over the next few years. 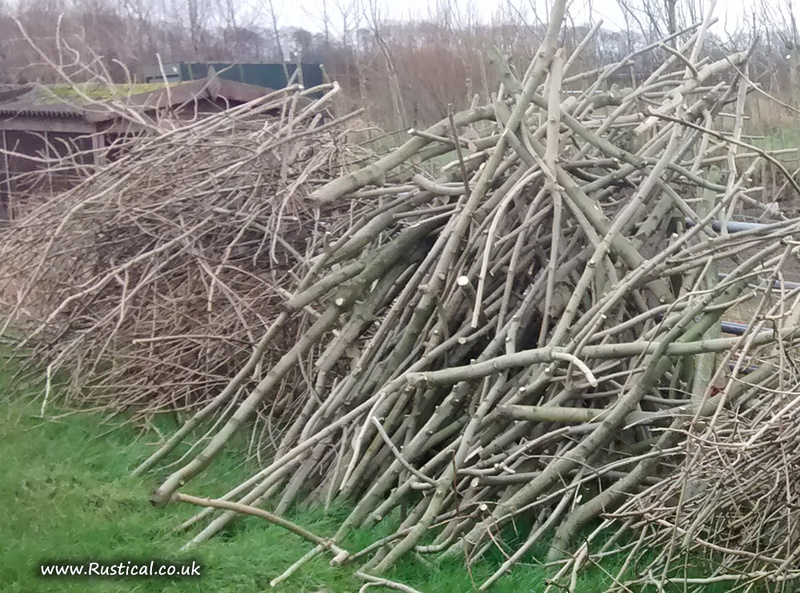 All material recovered from the hen pen will be utilised. 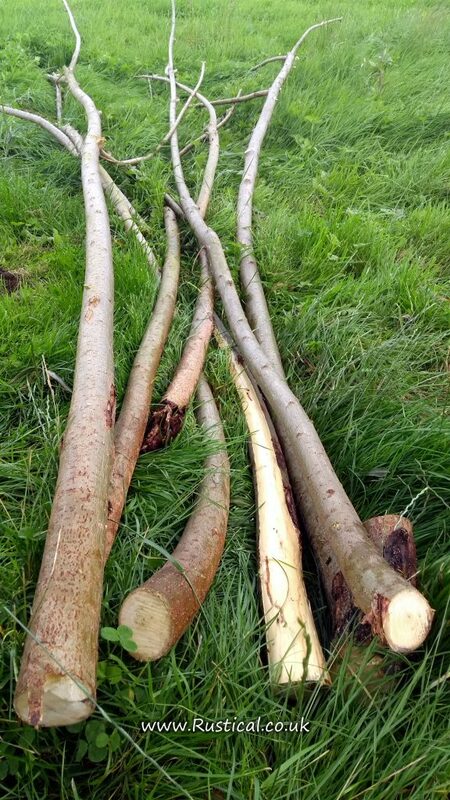 The brash will be chipped for use in log boilers and the larger logs used for craft projects, replacement tool handles or sawn up and sold as firewood for log burners.